When you mention “tech selection,” people frequently groan and bring up horror stories from past failures. But does picking the right tools for digital modernization always have to be so hard? 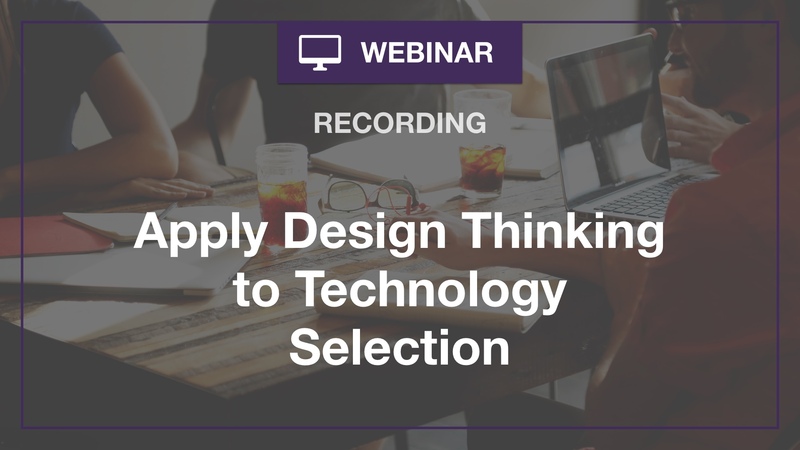 Applying a more design-thinking approach as a replacement for traditional waterfall methods can transform the front end of your technology projects. In this fast-paced session RSG Managing Director & Analyst Jarrod Gingras shares client experiences and stories as well as addresses thorniest tech selection challenges!